I mentioned in my review post of 2010 that I planned to spend more time networking, in particular attending conferences. ?I have a pretty solid schedule between conferences and vacation time to last me into the Fall. I will be attending the first two representing InfoQ, so if you are speaking and want to get together to talk about what you are doing then hit me up. Emerging Technologies for the Enterprise, April 27-28 in Philadelphia, PA. ?Please take a look at the speaker line-up. ?I will be attending the speakers dinner on Tuesday evening, please find me. The 6th Annual Emerging Technologies for the Enterprise Conference has become the Mid-Atlantic’s go to conference for developers, architects, and IT executives. Subjects as expansive and intricate as emerging technology and Open Source require a dynamic forum. This conference provides just that, with industry experts providing up-to-the-minute insight.ETE 2011 brings together pioneers across the spectrum to discuss the principles, practices, and products that are transforming IT’s ability to drive the success of the enterprise. 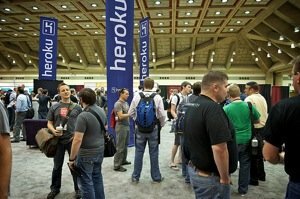 RailsConf 2011, May 16-19 in Baltimore, MD. ?Please take a look at the speaker line-up. ?I attended last year and it was a great event, very well run. ?Being held in Baltimore again it is hard to pass up not attending. Thanks in large part to the?Baltimore Rails Community who were such a great hosts in 2010, RailsConf is returning to Baltimore again in 2011. Happening May 16-19, 2011 at the Baltimore Convention Center, RailsConf is?the official event for the Ruby on Rails community. If you’re passionate about Rails and what it helps you achieve?or are curious about how Rails can help you create web frameworks better and faster?RailsConf is the place to be. ?Learn more about RailsConf. 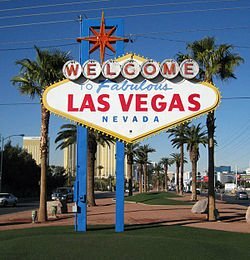 MicroConf, June 6-7 in Las Vegas, NV. ?I am tentative on this one only because of how soon it is coming and other work and family commitments. ?It is put on by Rob Walling and Mike Taber of Startups for the Rest of Us podcast. ?The event, focused on small software companies. MicroConf is a two-day conference focused on self-funded startups and single founder software companies. A limited supply of discounted pre-launch tickets will be available soon; sign up for pre-launch below. 360iDev, September 11-14 in Denver, CO. This is my first conference covering iOS topics. ?After watching the session videos from the last event, I decided this was a good one to get started. 360|iDev is the first and still the best iPhone developer conference in the world. We?re not a publishing company pushing books, or a media company selling subscriptions. We?re a conference company, focused on community. Our goal is to bring the best and brightest in the developer community together for 3 days of incredible sessions, awesome parties, good times, and learning. If you don?t leave Wednesday night, with more ideas than you know what to do with, we?re not doing our jobs! Business of Software 2011, October 24-26 in Boston, MA. ?I wanted to attend last year but the price of admission was too high, but this year an early discount rate made it happen. In short, BoS is a meeting of minds in an incredible, nurturing, sharing environment where amazing people share their thoughts about building better, more sustainable, more profitable software businesses and getting more out of their lives in the process. I may end up at some smaller conferences at the last minute involving iOS development or other business of software topics. ?Hopefully some become available after October. Again, anyone reading this attending, please hit me up as I would love to meet and talk.